Few of us have the luxury of living without any debt these days. While my father-in-law paid cash for his house many years ago, and more recently paid cash for his car, I can't imagine having the ability to do that. Some debt can be good. It helps build your credit rating if you are responsible about your borrowing. Your credit score is used by employers, lenders, insurance companies and more. A good credit score goes a long way in helping you throughout your life -- lower rates on loans, lower deposits on purchases, lower insurance premiums, etc. Debt can be considered "good debt" if it helps you achieve your goals (provided your goals are sound in the first place). Borrowing to buy a house is normally good debt (barring the recent real estate "bubble"). Homes generally appreciate over time and you build equity through your mortgage payments. Equity in your home can be used to improve and update it, making the value go up. Eventually, chances are you can sell for more than you paid and get a decent return on your investment. This is a long-term strategy, though, and probably won't materialize if you buy and sell too quickly. Bad debt is when you accumulate debt to live beyond your means. One example of bad debt might be buying a Mercedes when your budget can really only afford a Chevy. Another might be running up credit cards for a new wardrobe when you don't really need the clothes. Even student loans can be bad debt if you don't consider the risks/rewards of borrowing: What are the job prospects in your chosen field? Are the salary levels for graduates in your field enough to pay for your loans (you're probably not going to go to Harvard to be a kindergarten teacher!)? Too many people rack up bad debt (or maybe a combination of good and bad) until they are drowning in payments. The long-term consequences of this may be that you ruin your credit rating and you'll pay more in the future (late fees, higher rates, etc.). If you find yourself getting into too much bad debt or getting into a really ugly financial corner, Destinations Credit Union can help. We offer members unlimited free financial counseling with our partner Accel Member's Financial Counseling. 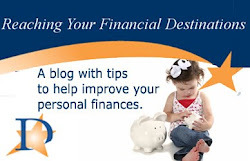 Don't wait to start digging out - make your future financial security a top priority.